A miracle of nature, impossible to recreate by science, Vichy Thermal Spa Water is naturally infused with 15 beneficial minerals + antioxidants to help transform every woman’s skin quality. 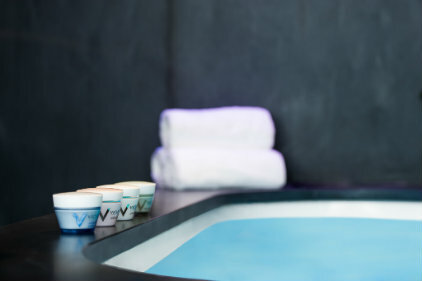 At the heart of all Vichy formulations is Vichy Thermal Spa Water. Developing slowly during its journey through thousands of years old rocks, Vichy Thermal Spa Water contains 15 minerals and serves as a natural active ingredient in itself. Vichy Thermal Water is naturally rich with a high concentration of 15 rare minerals known for their soothing, protective, regenerating, anti-oxidant benefits for the skin. The rainwater infiltrates the magmatic volcanic rock raising the water's core temperature. This temperature is so high that, under pressure, the water is propelled through the rocks gathering minerals such as iron, potassium, calcium, manganese, silicone and copper. 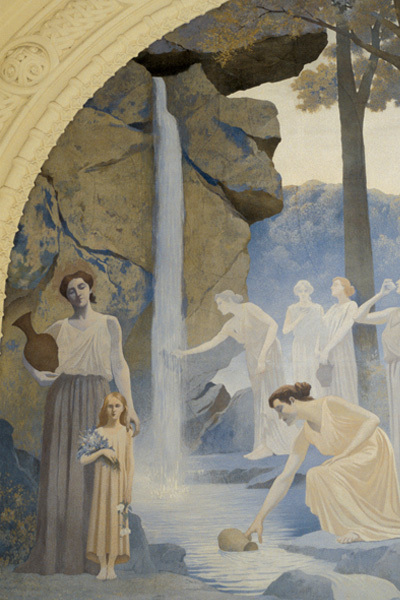 The amount of rare minerals that give Vichy Thermal Spa water its extraordinary virtues, make it one of the most mineralized waters in France. The Vichy source, of volcanic origin, is both therapeutic and beneficial for the skin. The water was first treated with respect by the ancient Celts and later exploited for its thermal use by the ancient Romans. The Romans quickly recognized its soothing and anti-redness properties and bathed in the Vichy water. They assigned it to Venus, the goddess of beauty, due to the benefits it had on the skin. The town of Vichy became a thermal city in the 1st century and realized its greatest power during the mid 18th century. It embodied the symbol of French refinement for it hosted numerous historical nobility including the Marquise de Sévigné (who testified to the merits of Vichy water in his letters), Napoleon III, the Duchess of Anoguleme (niece of Louis the XVIII) and even Coco Chanel who, in her youth, carried water at Vichy. In vivo and in vitro, Vichy Thermal Spa Water shows exceptional properties on all skin types, whether sensitive or reactive. Its irreproachable quality is rigorously tested daily to guarantee optimal tolerance and efficacy. A miracle of nature, naturally rich with 15 regenerating minerals + antioxidants, essential to skin's health. So unique, it cannot be reproduced by science. So powerful, it can reset your skin's health. Soothes + reinforces skin's natural barrier function. Its antioxidant properties help the skin fight the signs of aging. Protected and fortified, skin is more resistant to environmental aggressions. 3 FREE SAMPLES + FREE SHIPPING ON ORDERS $60 +. Enjoy 3 free samples at checkout and free shipping on orders $60+. No promo code needed. Can be combined with other promotions.